Bharuch ( listen ), formerly known as Broach, is a city at the mouth of the river Narmada in Gujarat in western India. Bharuch is the administrative headquarters of Bharuch District and is a municipality of about 370,000 inhabitants. Being one of the biggest industrial areas including Ankleshwar GIDC, it is at times referred as the chemical capital of India. The city of Bharuch and its surroundings have been settled since times of antiquity. It was a ship building centre and sea port in the pre-compass coastal trading routes to points West, perhaps as far back as the days of the Pharaohs. The route made use of the regular and predictable monsoon winds or galleys. Many goods from the Far East (the famed Spice and Silk trade) were shipped there during the annual monsoon winds, making it a terminus for several key land-sea trade routes. Bharuch was known to the Greeks, the various Persian Empires, in the Roman Republic and Empire, and in other Western centres of civilisation through the end of the European Middle Ages. Bharuch has been the home to the Gujarati Bhargav Brahmin community for ages. The community traces its lineage to Maharshi Bhrigu rishi and Bhagwan Parshuram who is considered to be incarnation of Lord Vishnu. The Bhargav community still administers a large amount of public trusts in the city. However the present day Bhargav Brahmins have migrated to Mumbai, Surat, Vadodara, Ahmedabad and other countries like the USA, UK & Australia. The city has textile mills, chemical plants, long staple cotton, dairy products and much more. Gujarat's biggest liquid cargo terminal is situated there. It also houses many multinational companies, such as Videocon, BASF, Reliance, Safari Construction Equipments Pvt. Ltd. and Welspun Maxsteel Ltd. Bharuch is a shopping centre well known for its salty peanuts. Because of the distinctive colour of its soil (which is also ideal for cotton cultivation), Bharuch is sometimes referred to as 'Kanam Pradesh' (black-soil land). In Bharuch, the celebrated Asura king Mahabali conducted a great sacrifice. In this sacrifice, a dwarf Brahmin called Vamana (fifth incarnation of Lord Vishnu) came and interfered with the king's sacrifice and put an end to his reign. A sage named Guru Shukracharya, from the lineage of Maharishi Bhrigu, was the priest of King Mahabali. Bharuch is the oldest city of Gujarat. It is also the second-oldest city of India having continuous inhitations, first being Kashi (Varanasi). Bharuch has a known history for about 8000 years. Bharuch was ruled over by too many emperors in the princely states era. Chandragupta Vikramaditya and other kings of the Gupta dynasty ruled over here up to 5th century and later it was ruled over by the kings of Gurjar ancestry till 7th century. The time period of 8th to 13th century was said to be an important and very well-known part under the rule of Rajput Emperors. Solanki ancestry's great emperor Sidhdhraj Jaisinh had built up Kot (fortification) and darvaja (doors) around the whole Bharuch which was known as 'Malbari Darvaja'. These are renamed as 'Katopor Darvaja'and 'Zadeshwari darvaja' later. In the first half of 16th century, Bharuch was ruled over by Changez Khan. Then, Mughal king Humayu ruled over in 1534 AD. According to historical accounts, the kingdom with capital at Bhinmal (or Srimal) was established by the Gurjars (or Gujjars). The kingdom of Bharuch was the offshoot of this Kingdom. The priest Chakradhar Swami of Bharuch was during the era of Bhimdev 2nd. He established the Mahanubhava community which was spread in Maharashtra. One Madresa was built during the Solanki era in Bharuch. The middle era history of Bharuch district can be divided in three main parts, out of which, we can say that Sultanate era (1297–1572), Mughal era (1572–1736), The Britishers robbed Bharuch in 1536 and 1546. Commercial warehouses were established in 1616 and 1618 by the Britishers and Dutch (Valanda) respectively. After that, in 1675 & 1686, it is robbed by'Maratha'. During this time period, Bharuch was handed over to Kutubuluddin. Mughal king Aurangzeb demolished the fortification and the fort in 1660 by attacking. Later on, he had built it again in 1686. In 1772, the Britishers again attacked on Bharuch with the help of 'Diwan Lallubhai' and they got succeed to take the power from 'Nawab Mojubb Khan'. Maratha era (1783–1802) were the eras of struggle. Bharuch was ruled by Delhi Sultanate for 94 years, Gujarat’s independent Sultanate for 181 years, Mughal Sultanate for 164 years, independent emirs for 36 years and Maratha rule for 19 years. On taking a bird’s eye view of the financial structure of the whole era of Gujarat’s sultanate, it can be seen that the area was cheaper and prosperous also when Akbar had won over Bharuch during Mughal era it had 12 Paraganas. The annual growth of all 559 City of the Bharuch, Hansot, Olpad, Mandvi, Galaa, Jambusar, Dahej, Koral, Ankleshwar and Tadakeshwar paraganas was Rs. 7.5 million. As given in the Tabakka – E – Akbari there is a description of severe draught and spread of contentious epidemic in Gujarat. Bharuch is located at 21.7°N 72.97°E﻿ / 21.7; 72.97. It has an average elevation of 15 metres (49 feet). Bharuch is a port city situated on the banks of the Narmada river. The damming of the Narmada caused the original port facilities to close, the nearest port is now in Dahej. The Bharuch district is surrounded by Vadodara (North), Narmada (East) and Surat (South) districts. To the west is the Gulf of Khambhat. Traditionally, Bharuch has been the centre of the peanut processing and marketing industry with a well established brand name around the country. Almost none of the peanuts are grown in Bharuch itself but the best of the crops from neighbouring regions are brought here for processing. Mr. Kirit P Modi a local resident and businessman holds the Intellectual Property rights for manufacturing roasted salted peanuts in a hygienic process. 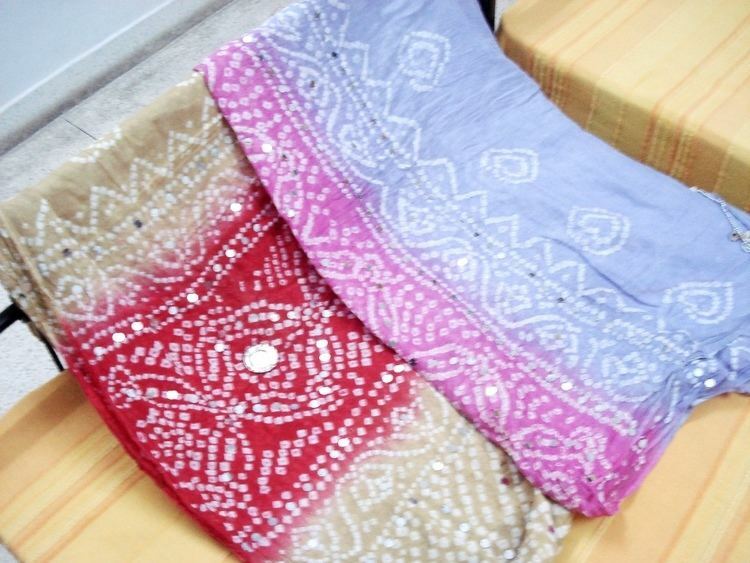 Bharuch is also the home of the Bandhni method of clothing design and is well known for this traditional art form. In the past 10 years or so, a major part of population has moved to countries like United Kingdom, United States of America, The African continent, & other parts of Europe. This definitely brings some economical boost to the local businesses as people come back for vacations & spend their earnings here. Bharuch was a major sea port in the important pre-compass coastal trading routes to points West, perhaps as far back as the days of the Pharaohs, which utilised the regular and predictable Monsoon winds or galleys. Many goods from the Far East were trans-shipped there for the annual monsoon winds making it a terminus for several key land-sea trade routes and Bharuch was definitely known to the Greeks, the various Persian Empires and in the Roman Republic and Empire and other Western centres of civilisation right on through the end of the European Middle Ages. Bharuch has also advantage of Gujarat's biggest liquid cargo terminal. A very large fertiliser, chemical companies, like GNFC Ltd. are also located in Narmadanagar (a suburb of Bharuch) since 1976. Large Indian & Multinationals, like the Torrent Group, PepsiCo International, Guardian Corporation, Hitachi, Chukan Butsu, Heubach Colors, Zydous Cadila, Cadila Health Care, Survival Technologies, Videocon, China Light and Power, BASF, Reliance, Tata Group, Aditya Birla Group, Welspun Stahl, Aventis, Wockhardt, Rallis, Pfizer, Ciba, L&T, Bayer, Glenmark, UPL, Lupin, J B Chemicals, Gujarat Fluorochemicals, NTPC, ONGC, GAIL, OPAL SOlvay, Breeze Intermediates For Flavor & Fragrance Intermediates, Alliance Tyre Group, Fireminich, Astra Specialty Compounds, Dahej and GPEC have set up manufacturing units in and around Bharuch and Ankleshwar. Bharuch has remained on top in the matters of education and culture. Bharuch is renowned since years back because of the internationally famous Pt. Omkarnath Thakur in the field of music. In the field of literature, the literature Gurus like Dr. Kanaiyalal Munshi, Balwantray Thakore and Sundaram has bestowed Bharuch unique pride. Raichand Deepchand Library was established in 1858. It is one of the oldest library in Western India. It has a collection of about 200,000 books including some rare manuscripts. Ganpatram Desai of the Bhargav Brahmin caste of Bharuch wrote the famous book "Bharuch Shaher No Itihaas" in 1900. This classic piece of history is an excellent reference even today. He wrote another historical novel called "Alexander Na Samay Nu Hind" or " India at the Time of Alexander"
The rain (Meghraja) festival celebrated in Bharuch during monsoon season is unique in the whole of India. In the whole country, the festival depicting the importance of ancient agricultural traditions is celebrated only here. Meghraja Festival is celebrated in the month of Shravan. A 5.5 feet idol if Meghraj (Lord Indra) is prepared from the soil of Narmada river and is worshiped for 25 days. A fair (mela) is organised during the last 4 days of this festival. 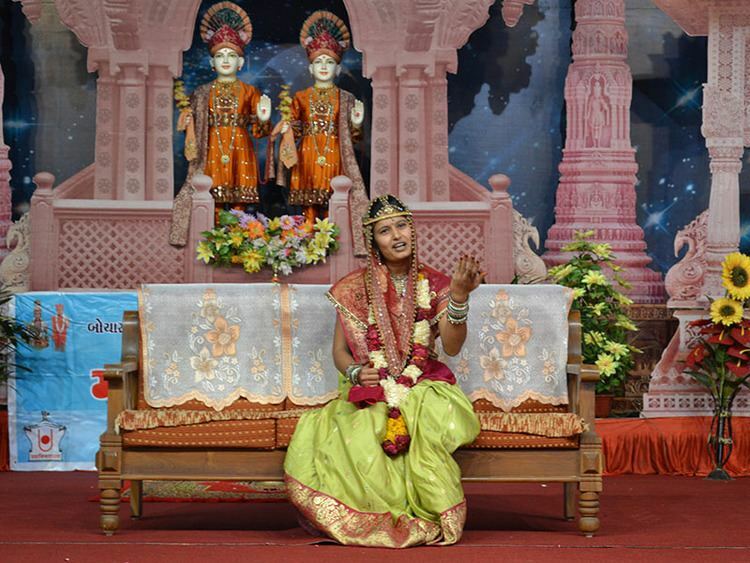 This festival is celebrated only in Bharuch in whole of India. Bharuch cuisine is similar to that of Surti cuisine. 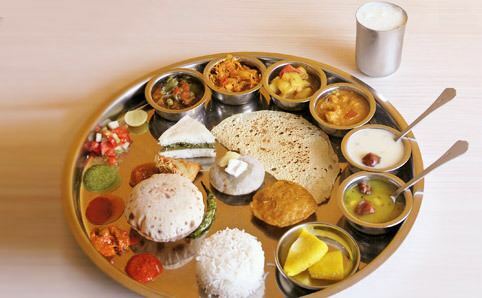 The most popular form of meal—a typical Gujarati thali—consists of roti, dal, rice and shaak (cooked vegetables, sometimes with curry), with accompaniments of pickles and roasted papads. 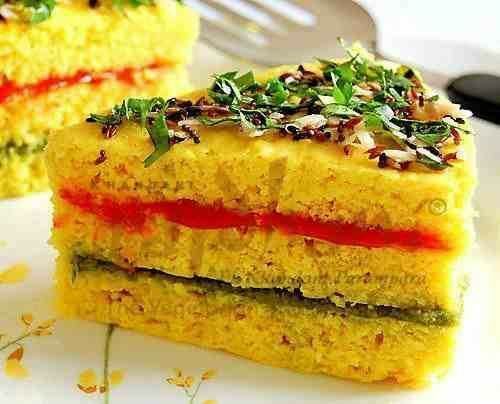 Bharuch cuisine also includes perennial favourites such as "Ghari" (a type of sweet), "Malai Ghari" (a unique sweet of Bharuch), Khichu, Undhiyu, Khaman, Nylon Khaman, Phaphada and Jalebi. Unlike cuisines in other parts of Gujarat, Bharuch cuisine is quite spicy. In the cooler winter months, people eat Ponk, a roasted cereal. Roasted salty peanuts of Bharuch are famous worldwide. Air: The nearest airports to Bharuch are Vadodara & Surat, at a distance of about 72 kilometres (45 mi) respectively. There are also daily (or multiple-daily) trains to Jaipur, Bikaner, Jodhpur, Kota, Ajmer, Indore, Kolkata, Nagpur, Solapur, Raipur, Bilaspur, Rourkela, Amritsar, Jalandhar, Ludhiana, Firozepur, Bhatinda, Ambala, Rohtak, Faridabad, Mathura, Dehradun, Pune, Goa, Mangalore, Kozhikode and Kochi (Ernakulam)- (and to several other stations en-route). Bus : National Highway 8 passes through Bharuch and has a good road network. The bus station in the heart of the city is one the busiest in Western India. State transport buses and private luxury coaches connect Bharuch with various centres of Gujarat, Maharashtra, Madhya Pradesh, Delhi and Rajasthan. There are a number of schools and colleges in Bharuch which provide education in English and Gujarati mediums. Schools here are either affiliated to Gujarat Board, CBSE Board or the ICSE Board to name few Sabari Vidya Peedom, Aditya Birla Public School, Amity, Queen of Angels, Holy Angels Convents, Bharatiya Vidya Bhavan's, Narmada Vidyalya, DPS, Sanskar Vidya Bhavan. Several colleges provide education in various under-graduate and post-graduate streams including commerce and science, Narmada College of Science & Commerce is the prominent known college since last many decades. There are also several engineering colleges affiliated to the Gujarat Technical University including SVM Institute of Technology which offers Post Graduate courses. Shree Narmada Sanskrit Ved Pathashala is a 115-year-old institute that imparts education in Sanskrit at school, graduate and post-graduate levels. It imparts education in the fields of vedas, jyotisha, vyakrana, nyaya, mimansa, etc. GNFC Sports Complex has a number of modern sport facilities, which includes Cricket Stadium (Ranji Trophy matches are also held here), Golf Course, Tennis, Table Tennis, Badminton, Skating, Swimming Pool, Gym, community science centre, Snookers, Pool, Billiards, Chess, Cards, Wally ball, basketball etc. and can say that all sports under one roof. Rotary Club also has facilities for sports like Table Tennis, Swimming Pool, Skating, Badminton and other indoor games etc. Cricket is the most popular sport in the city. Munaf Patel and Rashid patel both played for Indian cricket team. However, other sports are also played. 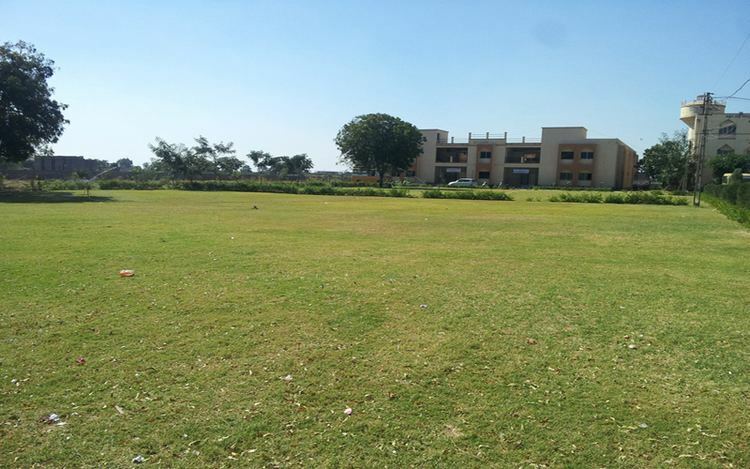 There are various avenues for leisure time activities in Bharuch, and there are a few very good parks maintained by the municipal commission such as Narmad River Front. Privately owned parks are also there. Among them, J. B. Modi Park and Vasu Van Nisarg Udyan are very famous. There is a crowded bazaar Which is Called Katopore Bazaar in old Bharuch, Best market place to shop.Renowned names such as Noble Stores, Hafez Stores are famous for Clothing in this market, when you want Government approved BIS Gold Jewellery, Finest Collection of 915 Fashion Diamond, Gold & Silver Jewellery, with Best service Then JK Jewellers, CPC Jewellers, Kalamandir Jewellers Ambika Jewellers, Shree Kareshwari Jewellers are the Best option. Of late there has been a boom in the retail sector in the city and there are new shopping malls and multiplexes opening up all over the place. 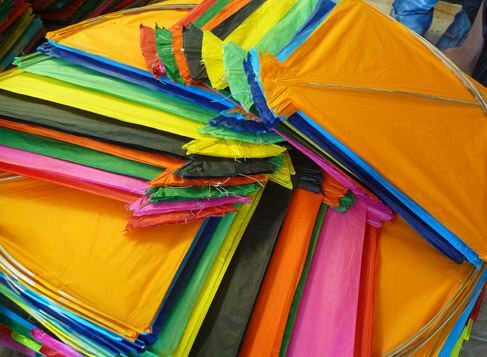 There are shopping malls like Big Bazar, Reliance Super Market, V-Mart, Mayuri. Multiplexes like INOX & Fame are also there in Bharuch. Renowned mythological personalities of Bharuch include Bhrigu Rishi, Shukra, Chyavana, Chandra, Dattatreya, Durvasa, Vamana, Mahabali, Jamadagni, Parshurama, etc. Notable historical figures include King Nahapana, King Bharumala, King Dadda Chalukya, Princess Shobha (Refer: Shobha Somnath Ki), etc. Notable personalities from recent times include K. M. Munshi, Omkarnath Thakur, Feroze Gandhi, Sundaram, Burjorji Sorabji Godrej (father of Ardeshir Godrej and Pirojsha Burjorji Godrej, founders Godrej company), Premchand Roychand, Ahmed Patel, Jaladhi Jivrajani etc. Kanaiyalal Maneklal Munshi (Gujarati: કનૈયાલાલ માણેકલાલ મુનશી) or Kulapati Dr. K. M. Munshi (30 December 1887 – 8 February 1971) was born in Bharuch. He was an Indian independence movement activist, politician, writer and educationist. A lawyer by profession, he later turned to literature and politics. He is a well-known name in Gujarati literature. He founded Bharatiya Vidya Bhavan, an educational trust, in 1938. In bharuch, there is running an institute namely Bharatiya Vidya Bhavan's Narmada Vidyalaya, Narmadanagar[ GNFC]. He also founded Institute of Agriculture at Anand, Gujarat. Munshi was an active participant in the Indian Independence Movement. After the independence of India, Munshi was appointed diplomatic envoy and trade agent (Agent-General) to the princely state of Hyderabad. He was on the ad hoc Flag Committee that selected the Flag of India in August 1947, and on the committee which drafted the Constitution of India under the chairmanship of B. R. Ambedkar. He was also the main driving force behind the renovation of the historically important Somnath Temple. He was the first Union Minister of Food and Agriculture of independent India. During this tenure, he initiated the Vanmahotsav in 1950, to increase area under forest cover. Since then Van Mahotsav a week long festival of tree plantation is organised every year in the month of July. Ganpatram Himmatram Desai was Sub Registrar of Bharuch and an Educationalist. He wrote the historical account of Bharuch city and its history in 1914. The historical work "Bharuch Shaher No Itihass" was preceded by another book named "Alexander Na Samay Nu Hind". Ganpatram Desai grandson Chunilal Desai was a civil engineer working for the district administration building a number of schools in the district. He was a graduate of College of Engineering Pune. Shree Vishnu Ayyapa Temple lies on the Zadeshwar Road and is managed by the Hindu Kerala Community residing in Bharuch. Every Year during the end of December beautiful procession is carried out in full Festive & Traditional Fervor by the divine grace of Lord Ayyapa to commensurate the pious "Mandalamaasam" where devotees across the district and nearby vicinity participate and celebrate. Dashashwamedh Ghat. It is situated on the bank of river Narmada near Dandia Bazar. This is the place where King Mahabali performed ten ashwamedha sacrifices. It is at this place where Lord Vishnu came in the disguise of Vamana and measured the whole universe with his three steps. There are many old temples constructed on this ghat which includes Ambaji Mata Temple, Umiya Mata Temple, Narmada Mata Temple, Kotirudreshwar Mahadev, Vamana Temple and many others. One must not forget to visit this ghat at early morning hours to enjoy the spiritual peace of this place. There are many ashramas along the river side. Some of these ashrams also runs meditation centres, adhyatama discourses, etc. A few prominent ashramas to name are Ashoka Ashrama, Swami Omkarnath’s Narmada Ashrama, Kusuma Pagala Ashrama, Swami Swyamjyotitirtha’s Gyan Sadhan Ashrama, Vishwa Gayatri Alakha Dham, Brahmakumari’s Anubhuti Dham, Swami Tadrupananda’s Manan Ashrama, Hansdevji’s Hans Ashramas, etc. The Golden Bridge. It was built by the British in 1881 across the Narmada River to improve access to traders and administrators to Bombay. The structure was built with rust-resistant iron, and therefore, more expensive than modern steel, lending to the name Golden Bridge. This bridge connects Bharuch and Ankleshwar. Fort. Around 1000 year old fort, built by Siddhraj Jaysinh, the then king of Gujarat. The fort is situated on a hill top which overlooks the Narmada river. Within the fort there are the Collector's office, Civil Courts, the Old Dutch factory, a church, the Victoria Clock tower and other buildings. Around 3 km (1.9 mi) from the fort there are some early Dutch tombs, overlooked by some Parsee Towers of Silence. Also there are many historical monuments built by the Dutch, Portuguese and British. Shuklatirth. It is situated at a distance of about 12 km (7.5 mi) east of Bharuch is a host of many old temples. The most famous of them is Shukleshwar Mahadev Temple. Legend says that Shiva was pleased with the devout Chanakya and guided him to salvation. He instructed Chanakya to start his journey in a black boat at the mouth of the Narmada dress in black and accompanied by a black cow. The place where black would transform into white would mark the location of his liberation. The transformation occurred in Shuklatirth. Shiva stayed with Chanakya at this site in the form of a linga. It is believed that this temple houses that same linga, and that by praying here all sins are purged and desires fulfilled. The Omkarnath Vishnu Mandir has a tall white idol of Vishnu said to have emerged from the Narmada. This idol is made up of sand (it is a self manifested idol), but it appears as if it is made from marble. Kabirvad. – It is the island of Banyan trees. Kabirvad is an island on the river Narmada at a distance of about 16 km (10 mi) east of Bharuch city. The main attraction here is a gigantic banyan tree covering an area of more than 2.5 acres. According to legend, it is at this place that saint Kabirdas meditated and the tree grew from a meswak stick (used for brushing the teeth) that was thrown here by the saint. A single tree has over years proliferated into a tree with several trunks and spread in over 2.5 acres of land. Other added attractions here are the lotus shaped marble temple, Kabir museum and boat ride on Narmada river. Osara located about 17 km (11 mi) north-east Bharuch has a temple of Kali. This temple opens only on Tuesdays attracting huge number of devotees. Other important places on the banks of Narmada include Angareshwar, Mangleshwar, Nikora, Janor, Sajod (hermitage of sage Chyavana), Hansot, Jageshwar, Dahej, and many more.